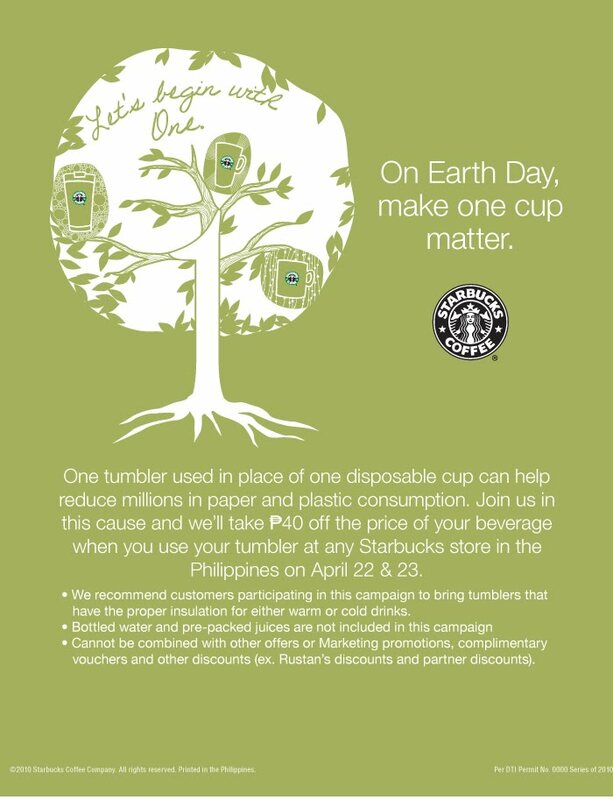 On April 22-23, 2010 Starbucks will take off P40 on your favorite drink when you bring with you your tumbler (and I guess even your mug for hot drinks). This is in celebration of Earth Day. Starbucks aim to lessen the use of disposable cups to help save Mother Earth. celebrate and participate on Earth Day. So, see you all at Starbucks!